Rachel is from Edgerton, KS, which is on the edge of Johnson County. Rachel was adopted when she was just three months old, and many of her siblings were also adopted. She grew up going to church with her family since her father was a pastor, now retired. When she was in 7th grade, the big earthquake struck Haiti, as most of us remember hearing about. As a result of this tragedy, many children were left without parents, and placed in orphanages. This horrific event inspired Rachel to embark on two different mission trips to Haiti to volunteer at an orphanage. She and a friend arranged to bring down over 200 pairs of shoes on the first trip, and a large sum of donated clothes for Haiti’s clothing depot on the second. Rachel is planning on becoming a school counselor after she finishes college. This career option will allow her to work with a wide variety of students and support them through high school while also providing the option for her to travel to Haiti during the summer to pursue humanitarian work with the orphanage. 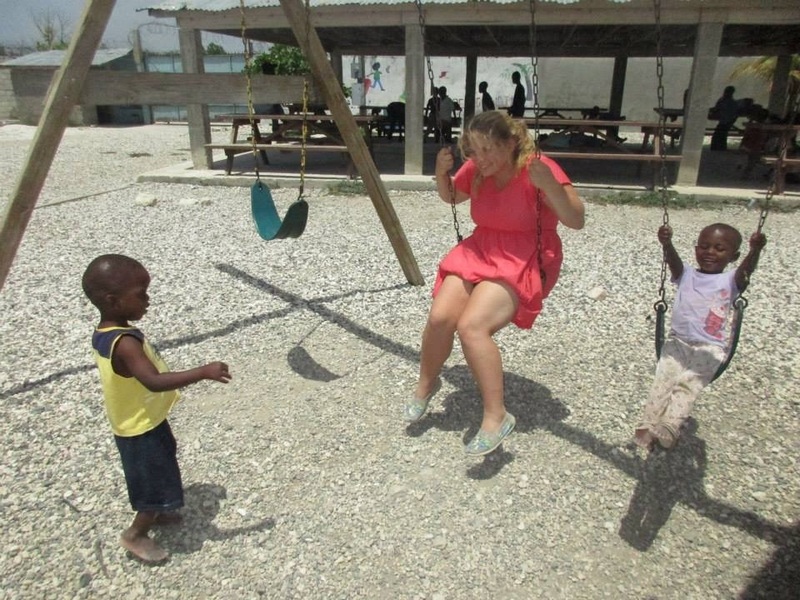 Rachel hopes to get an internship at the orphanage in Haiti at some point to build upon her knowledge and experience in working with children. 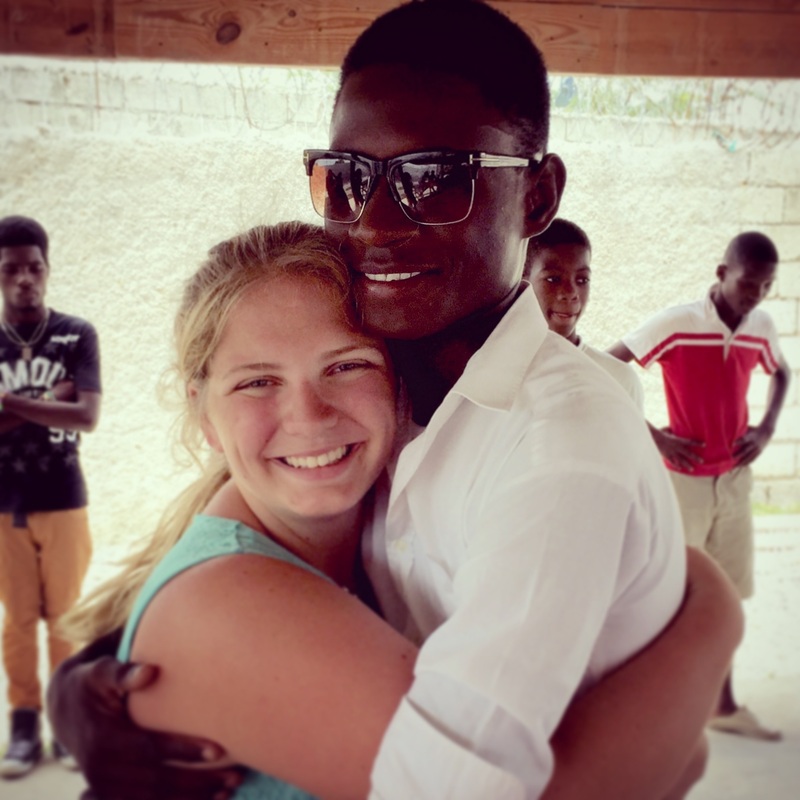 A favorite memory from Haiti comes from an experience she had with a boy named Jessie, (pictured below). While many Haitian children do speak English, some of them also speak different languages so it is difficult to find ways to communicate. In an attempt to get to know them and interact with them, Rachel turned on some music and started dancing around the room. Many of the children were confused at what was happening, but Jessie got up and danced with her! She recalls that as being a very important event because she learned that even without language, you can still connect with people on a person level. Culture is Rachel’s number one passion. Her advice to her classmates is to travel if you ever get the chance; even if it’s not for humanitarian work. She encourages everyone to immerse themselves in a different culture to appreciate and understand the many different types of people in our world. She plans to incorporate her passion of culture to Haiti, educating the children on different cultures and teaching them to grow within their own culture while being appreciative of the various cultures outside of Haiti.